The New York Times bestselling series that inspired the Witcher video games. Geralt of Rivia. 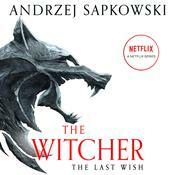 A witcher whose mission is to protect ordinary people from the monsters created with magic. A mutant who has the task of killing unnatural beings. He uses a magical sign, potions, and the pride of every witcher: two swords, steel and silver. But what would happen if Geralt lost his weapons? In this stand-alone novel, Geralt fights, travels, and loves again, Dandelion sings and flies from trouble to trouble, sorcerers are scheming, and across the whole world clouds are gathering—the season of storms is coming. 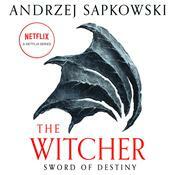 The New York Times bestselling series that inspired the Witcher video games. Geralt of Rivia. 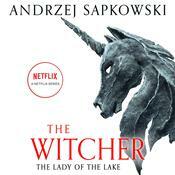 A witcher whose mission is to protect ordinary people from the monsters created with magic. A mutant who has the task of killing unnatural beings. He uses a magical sign, potions, and the pride of every witcher: two swords, steel and silver. But what would happen if Geralt lost his weapons? In this stand-alone novel, Geralt fights, travels, and loves again, Dandelion sings and flies from trouble to trouble, sorcerers are scheming, and across the whole world clouds are gathering—the season of storms is coming. I absolutely love the Witcher series. Several months ago when I completed Lady of the Lake and was unhappily done with the series, I received an email from Hachette and saw this "prequel" of sorts was to be released soon, and I jumped at the chance to review it. I'm very glad I did. Before Destiny, before the bloodshed, before the drama and the politics and the confusion and the heartbreak, Geralt was just a witcher trying to make a living, and keep Dandelion out of trouble. That's what this book is about; Geralt doing his job, fighting monsters, avoiding confrontation, and sleeping with sorceresses. Good old-fashioned Witcher-ing. It was a bit short, and I wish it had been a little longer. The main plot revolved around Geralt getting framed and getting into trouble and losing his swords, and trying to do a job for a group of sorcerers in order to get his swords back (those darn sorcerers, always with their coercion and blackmail). The job is somewhat related to monster killing and somewhat political. The plot twist could have been more dynamic but it was still satisfying. The flow was a little piecemeal. 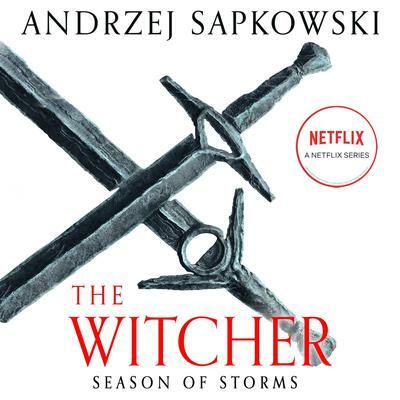 A few of the audiobook scenes felt like they were repeating themselves, but then Sapkowski has a tendency to do that on purpose to make a point, so it could be an editing issue or it could be Sapkowski being Sapkowski. As always, Geralt and Dandelion and whatever dwafs involved were hilarious, sarcastic little snots, and I love it. 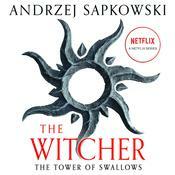 I hope soon Sapkowski's other series and books will be translated, as I have come to be very fond of his writing! Andrzej Sapkowski was born in 1948 in Poland. He studied economics and business, but the success of his fantasy cycle about the sorcerer Geralt of Rivia turned him into a bestselling writer. He is now one of Poland’s most famous and successful authors.